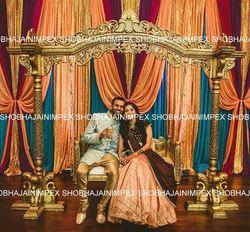 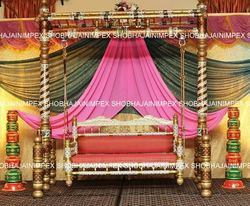 We are a leading Manufacturer of peacock theme wedding jhula, asian wedding swing, designer wedding jhula, golden theme wedding swing, royal indian wedding jhula and wedding swing from Delhi, India. 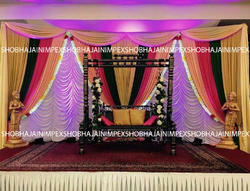 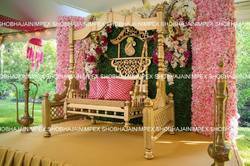 Beautiful wedding swings for wedding sangeet, mehendi and wedding. 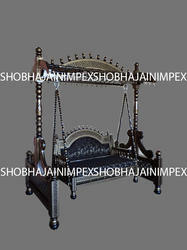 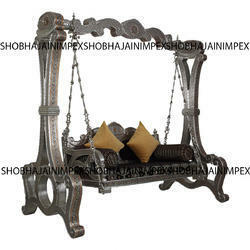 A variety of swings and jhulas are available with us which can customized as per your needs. 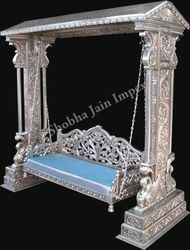 Looking for Swings and Jhulas ?